Migraines: Symptoms & Possible Ways to Treat! A migraine is the extreme form of a headache! It comes up with a feeling of vomiting, nausea, and sensitivity to light. These headaches can last for as long as 4 hours to 3 days. And, women are more prone to suffering from Migraines. According to the American Migraine Foundation, around 12 percent of the American population suffers from a Migraines and women count for three times of the men. It is most rampant in people falling in the age group of 10 to 40. However, after the age of 50, it starts improving and disappears gradually. At times, a Migraine pain can be really unbearable and can last for several hours. And, it can follow extreme sensory disturbances that are caused on one of the sides of the brain. What are Common Migraine Triggers? The exact cause of a Migraine has not yet been discovered. It is supposed to be caused as a result of some kind of unusual activity in the brain because of which the communication between the blood vessels and chemicals in the brain get affected. Apart from that, it can also be transferred on to someone genetically. Caffeine and Alcohol can be the possible triggers for a Migraine! Apart from that, certain food items like cheese, foods containing the additive tyramine, chocolate, and citrus fruits can also result in causing Migraines. And, one of the major reasons that cause Migraines is missing or irregularity in meals and dehydration. Especially in migraines can also be seen because of some hormonal changes in the body. Usually, during menstruation, women are seen with the symptoms of a Migraine. Any form of emotion that causes stress like excitement, depression, anxiety can cause a Migraine. Physical stresses like shoulder or neck tension, physical overexertion, and insufficient sleep can be the cause of a Migraine in someone. Apart from that, jetlags and low blood pressures can also act as Migraine triggers. 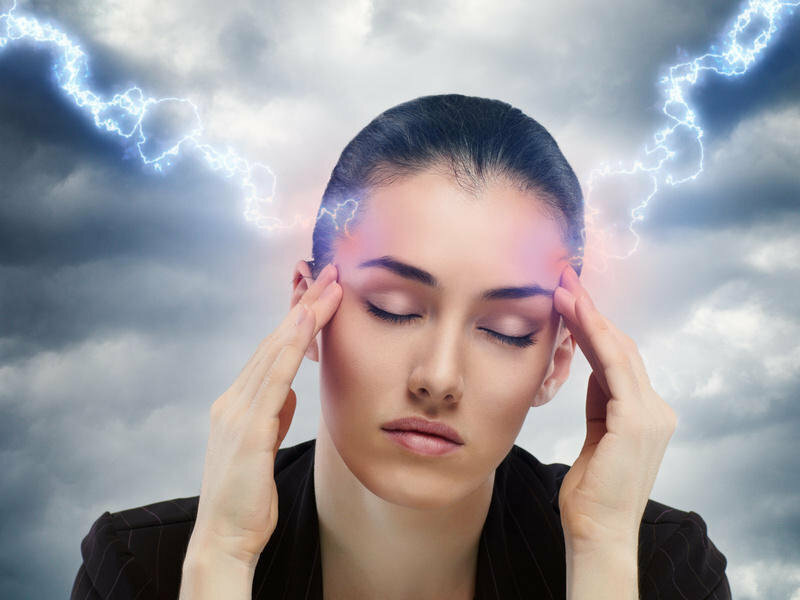 Extreme weather changes, loud noise, strong smells, bright lights, and any kind of changes in your surrounding can also result in causing Migraine. Till now there isn’t have been any kind of proper medication for Migraine Treatments. However, there are ways by which Migraine Symptoms can be alleviated to a considerable level. Get Enough Sleep to make your body feel Rejuvenated. Don’t keep room for any kind of Stress. Drink as much as water as you can. Avoid foods that do not suit you. Allot time in your schedule to Exercise regularly. And, even after you, these lifestyle changes do not prove out to be better Migraine Treatments and the symptoms do not get alleviated, seek a professional’s help. Migraine symptoms can sometimes be very disturbing and can affect your efficiency. So, you should start taking steps if the frequency is increasing. 50 Quotes by Buddha That will Transform your Life!